Are these the nearest we will get to hearing a tape of Pablo's Rockers International set? thank you once again! the no.1 source for killer sessions! Last edited by ZionRootical on Sun Aug 23, 2009 9:36 am, edited 2 times in total. So good to hear these kind of sessions... & to see the flyer! Give Thanks! Originally this dance was billed in Sept 95 by Jah Lion, but Somehow it was Canceled and Jah Free got the promotion. 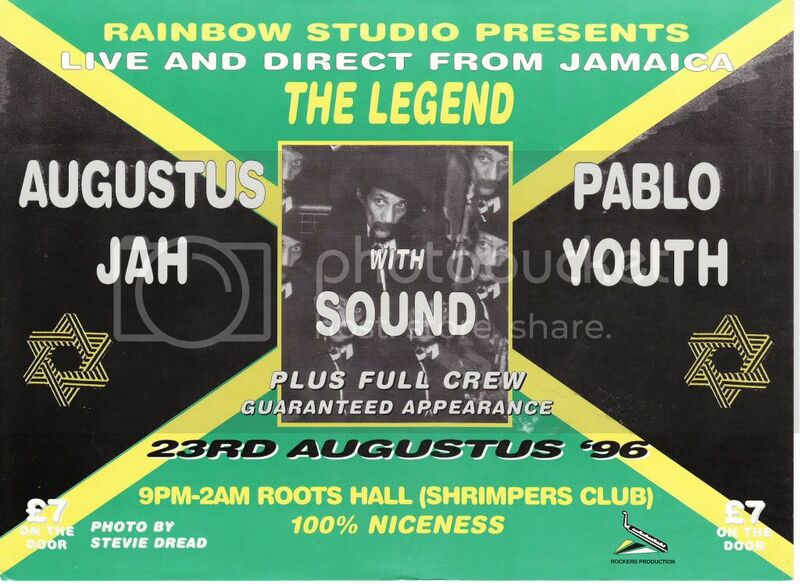 thanks a lot for those uploads..
one question, on the flyer "rainbow culture present" with pablo, it is written "photo by stevie dread" ... is it the same stevie dread who release reality on touch tone studios in bermuda ??? just curious ! thanks again and again !! 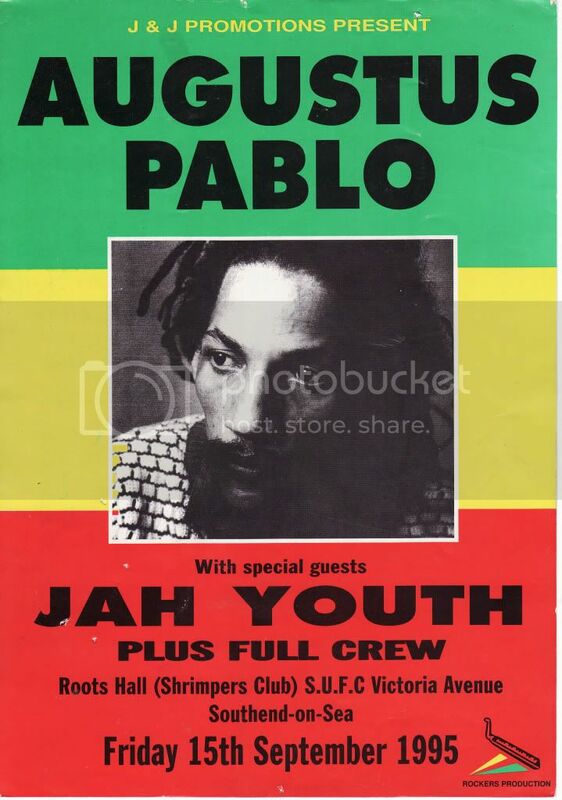 Pablo also played a set on the Jah Youth sound at 'Planet Venus' club in Bradford in '95. It was arranged by Cojo Bushrocker, who's sound system played alonside mine last month. I remember Pablo dropping a dubplate of 'Words of my mouth'...I have never had the hairs on my back stand up so much since hearing that. Is there a recording of that session ? 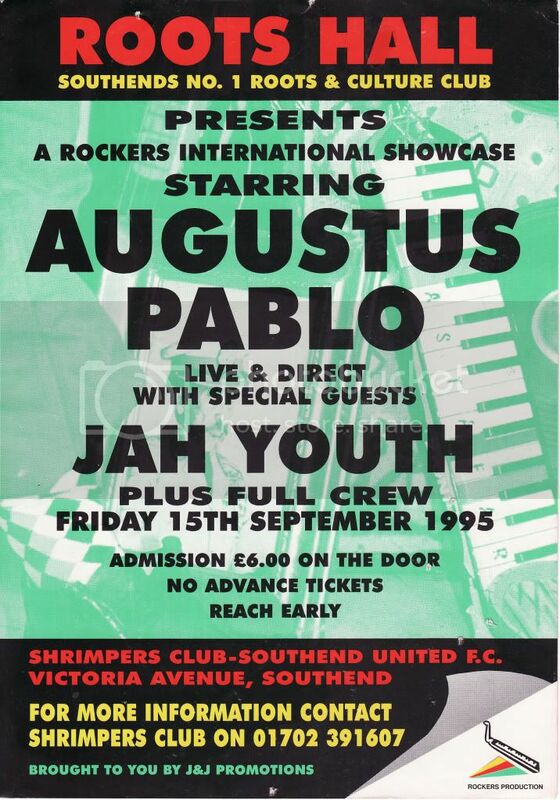 Axis wrote: Pablo also played a set on the Jah Youth sound at 'Planet Venus' club in Bradford in '95. It was arranged by Cojo Bushrocker, who's sound system played alonside mine last month. thanks for yur answer Zion Rootical ... yes what a big tune the stevie dread !! quote : "Thanks for the sessions i just uploaded to CD the joey jay interview with Castro Brown & Augustus Pablo on Kiss, with put up if this isn't already on the web let me know if it is "
is there a place to hear that interview ? ?